Telomeres are extremely important in the study of anti-aging. Essentially telomeres determine how long each living being will live. They are the caps at the end of each strand of DNA. 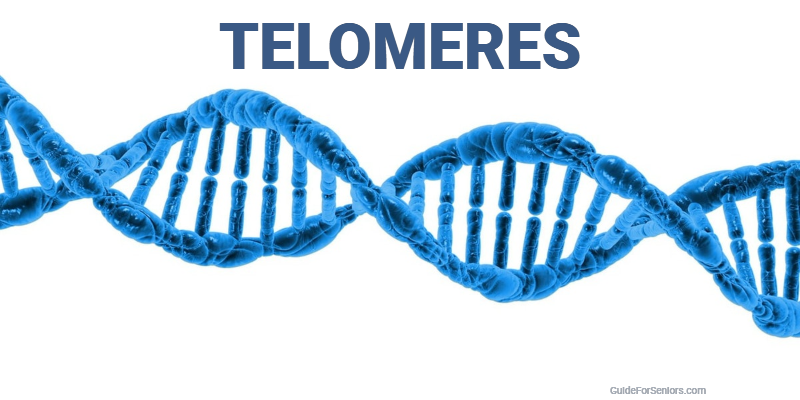 Telomeres protect our chromosomes. Without telomeres, DNA strands become damaged and no longer function. 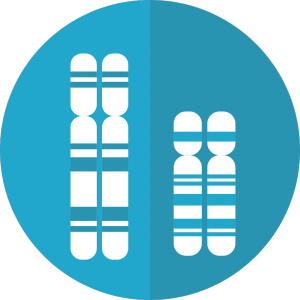 Humans are born with a certain length of telomeres. Everyone does not have the same length of telomeres. As we age the length decreases. When your telomeres are used up, to be blunt, so are you. To date, there is little evidence proving that we can increase the length of our telomeres indefinitely. Even if there were a scientific or medical way to do so, I doubt the government would allow this knowledge to become available to the general public. It would wreak havoc on our economic system, our monetary supply, our resources and our earth. If the population of the earth increased as people lived to be hundreds of years old, consider the strain on the food supply and the decrease in productivity as more individuals became consumers and not producers. Telomeres are important to our health. Many scientific studies have shown a strong connection between short telomeres and cellular aging. Thus it behooves each of us to protect our telomeres as much as we can. Without protection, our telomeres will no longer protect us. Discussing telomeres is much like discussing anti-aging. Anti-aging techniques help our telomeres. A diet high in berries and antioxidant foods will help to protect our bodies. it is exciting to think that as we live a more healthy lifestyle, we are living a life that naturally fights anti-aging. Your body can not regrow but this type of lifestyle will help to protect your telomeres and those end caps can be repaired to a degree. This is not a trek to be undertaken lightly. Most individuals have lived their lives in a certain way and change is not easy. Just giving up desserts or eating more fresh fruits and vegetables or not eating processed foods is difficult in our world. It is just too easy to grab a cracker when you are in a rush. There is evidence that lifestyle factors affect telomere length and thus anti-aging. Now is the time to begin. Not when it is too late. Increasing the length of your telomeres is not as simple as it sounds. Hereditary factors that cannot be quantified affect anti-aging. However, not taking that into consideration, you can make changes to your lifestyle that will influence your lifespan as well as your quality of life. Shorter telomeres are associated with increased age-related disease and a decreased lifespan. Now here we go with the talk on exercise. No, there is no pill that will do the job. Researchers have shown that those who do not exercise on a regular basis have shorter telomeres than those who do exercise. So you are not wasting your time exercising, you are gaining time. I guess it depends on whose time we are talking about. The next time you think of putting off any exercise because you do not have time, actually you do not have time if you do not exercise. Your daily diet has a huge effect on your telomeres. That seems logical if you are what you eat. Berries or steak? I prefer steak, medium rare with a baked potato. However, the correct answer is healthy berries. They are chock full of antioxidants and ooze of health. A middle ground has to be found. I enjoy my steaks but seldom have one. Since it is a rare treat, I enjoy them more when I do pamper myself. Lately, I have been consuming more fresh vegetables and fruits. I really do feel better. My brain fog is disappearing. Best of all, I am finding that my allergies do not bother me so much. I thought I was allergic to chips. But now I think I am allergic to all processed foods. Bummer. I will give up as much processed foods as possible. I can do anything I put my mind to. It is not exciting but it is thrilling when I feel so much better. I can think clearer and enjoy my daily life more than ever before. Another item is stress. In the busy world we live in, it is difficult to get rid of all stress. We are all lucky that some stress is considered to be healthy and good. The idea of taking vacations to get away from stressful situations and stressful people makes it easier to justify the cost of vacations. Now I am not spending money but investing it in my health, well being, and anti-aging. As a reward for exercising and watching my diet, I will take a vacation and enjoy a steak. Read more on the Guide For Seniors about general health.